With the questionable judges’ scores from the Saul “Canelo” Alvarez vs. Gennady “GGG” Golovkin mega-fight that took place on September 16 last month in Las Vegas, Nevada, promoter Tom Loeffler says Gennady and him want a fair playing field when it comes to the rematch against Canelo next year. Loeffler would like the Canelo-GGG rematch to take place outside of Nevada, but Golden Boy appears to want to have the second bout in that state once again. If the choice were up to him, Loeffler says he would look to stage the second Canelo vs. Golovkin fight in New York or Texas. The scores by the Las Vegas judges for the Canelo-Gennady contest were as follows: 114-114 [judge Don Trella], 115-113 for GGG [judge Dave Moretti] and 118-110 for Canelo [judge Adelaide Byrd]. The way the boxing fans saw it, they overwhelming thought Golovkin won the fight. The scores by the fans varied from 115-113 to as high as 117-111 for Triple G.
Fighting in Vegas could put Golovkin at a disadvantage. He’s fought there just once in his career compared to the 27-year-old Canelo, who has fought in Las Vegas on 8 occasions in big money fights. There’s a direct imbalance between the two fighters. For all intents and purposes, Las Vegas is home for Canelo. Golden Boy Promotions can use Canelo’s A-side muscle to insist on the Golovkin rematch taking place in Las Vegas. If Golovkin is given no choice but to fight in Vegas or else he gets no rematch, then he’ll likely take the fight. If the alternative is for Golovkin to sit and age for 2 to 5 years until he’s no longer the fighter he is today before he can get a rematch with Canelo, it’s highly possible that he’s swallow his pride and agree to do the rematch in Vegas. 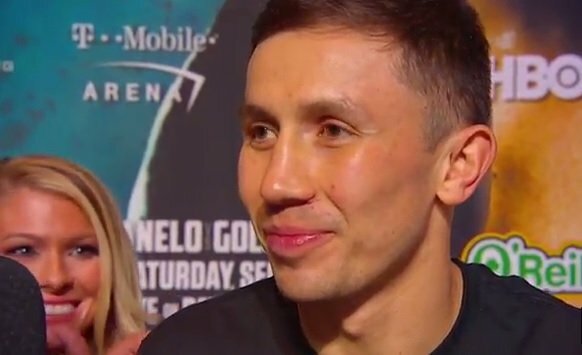 In a sense of fairness, it would be a classy move for Golden Boy and Canelo to agree to make the Canelo-Golovkin rematch in New York or Texas to show that they’re no trying to get the upper hand on the Kazakhstan fighter when it comes to the scoring of the second fight. If there wasn’t already a history of controversial scoring from the first Canelo-GGG fight, it wouldn’t be such a big deal, but obviously that’s not the case. The scoring by 2 of the judges from the September 16 fight was unusual. The judge that scored the Canelo-Golovkin fight 114-114 for Canelo, gave him round 7, which was easily Golovkin’s best round of the fight. Golovkin would have won if the judge gave him round 7. Next boxing news: WBC: Deontay Wilder will fight Bermane Stiverne – Breaking news!